We’re always working on improving our tools’ functionality and are now all set to show you some new updates to the Brand Monitoring tool. We’ll start with the wizard, which has undergone some changes. Our A/B testing is now complete, and you’re free to check out the wizard's new design. 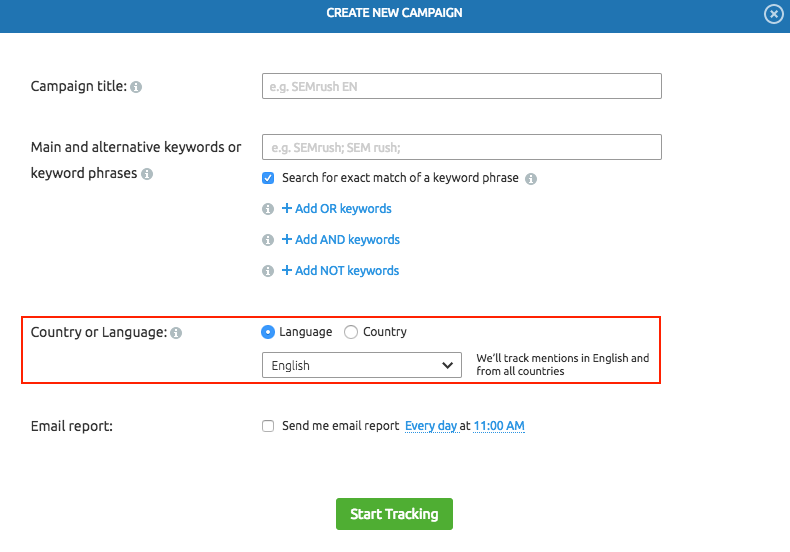 Also, a new preset is available here: now you can select a country or language search when starting a new campaign. Currently there are 14 countries and 10 languages available in the list, but there are more to come! We’ll keep you updated. In order to optimize the mentions search, we have reduced the number of keywords you can track. This will make the search results even more relevant, and no data will escape you. Another update to the Mentions search results function: clicking on a mention’s title will take you to the source site, not the modal preview window as before. But you can still get to your list of mentions in the modal preview window by clicking the ‘View’ button. 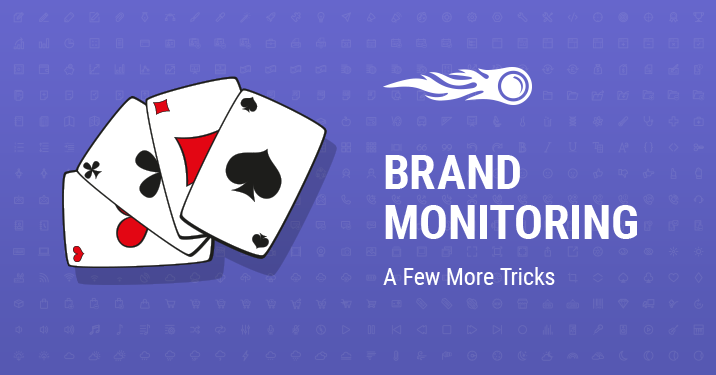 With SEMrush you will always have a trick up your sleeve in order to stay ahead of competitors. Any questions or suggestions? Feel free to send your feedback to [email protected].